I’ve never been susceptible to the Steve Jobs reality distortion field. The only time I ever used an Apple product was in the late 80s, when my company bought a bunch of Mac SEs. I hated mine and was delighted when we finally gave up on them. So my admiration for the guy is completely dispassionate. But genuine nonetheless. 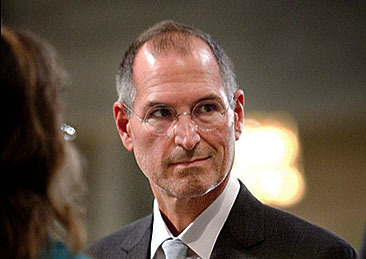 He was largely responsible for the Apple II, the Macintosh, the iPod, the iPhone, and the iPad. That’s five dazzling, smash hit products in four completely different product areas. Toss in Pixar and it’s six huge successes in five areas. I’m honestly not sure that any other businessman/inventor/product designer in the past century has a record quite that brilliant. We’re not likely to see his equal anytime soon.